You may have noticed that recently, there have been several news stories about the FAA and UAV/drone regulation on top of many headlines. When I previously glazed over the topic here, I thought it would be good to start with a foundation article on the current state of affairs and regulations for drone usage. This way, future posts will have a reference point. Does the FAA regulate UAVs? The short answer about if UAVs are regulated: it depends. It matters if the flight being made earns money. If the flight makes money, it is a commercial operation and within the purview of the current regulations (or lack thereof, as you will read). If the flight does not make any money, it is a private operation and may be outside the scope of current regulations. This is where a little history will help. Traditionally, the FAA's concern has been civil and commercial aircraft. For one, that was the only possible activity subject to regulation. And, even when other types of flight cropped up, think private space flight, the activities are rare and, by design, are away from people. So, the FAA doesn't really have a set of regulations in place to apply broadly to all new UAVs. What it does have are a few opinions. In 1981, the FAA issued an opinion in response to the rapid growth of the remote control airplane community. "Modelers" flew (and continue to fly) small airplanes as a hobby. The planes are relatively small and do not have any pilot on board. The opportunity for injury is arguably much smaller than with "full scale" aircraft. The FAA decided the only necessary regulation was that these model airplanes be flown below 400 feet, away from airports, and in a safe manner. Consequently, as remote control airplanes transition into more common place UAVs with GoPro cameras attached, hobbyists who fly just for fun, can continue to operate within the guidelines of this opinion. In 2007, the FAA issued another opinion, this time more pointedly discussing commercial UAV usage. It pointed out that private use was still covered the 1981 opinion. But, it expanded its authority claiming that for any commercial UAV flight, the aircraft had to be inspected just like any other aircraft, and the flight had be authorized by the FAA. The result is an ad hoc approval of commercial UAV flights that some commenters have discussed as being rarely issued. So, for the short term, the "it depends" answer for regulations is dependent on if the flight is being made as a commercial flight or a private flight. The long term is a bit different, though. The FAA has been charged with drafting regulations that will be more broadly applied and has until September 2015 to publish those regulations for public review. On Monday, November 24, several outlets (CNN, WSJ, and Slate) describe the unannounced draft regulations as perhaps drafted with a heavy hand. The WSJ's report is that the FAA will propose regulations for commercial operators to have a license and that flights would basically be limited to those flights described in the current opinion for hobbyists: that is below 400 feet and during the day. The license may include that the pilot learn to fly a traditional aircraft before flying a UAV. And, the real whopper is that all UAVs under 55 pounds would be subject to the same regulations. The Aero-News Network has published responses to these proposed regulations that give warning that the regulations appear to have no relation with the rules and the technology the regulate. The absence of regulations or the ad hoc approval or denial of commercial UAV flight has its own burdens and has implications in the development of technology and businesses that count on this technology. For example, Amazon has proposed its "Prime Air" delivery of products to consumers via UAVs. Without a doubt, the economic impact of a UAV delivery service would be significant. Other industries would equally gain: the UAV herding of cattle or taking photos for wildlife regulators or of real estate, for example. There's another unforeseen and important burden of this ad hoc approval or denial. And it was covered by Slate, here. As the article wisely points out, there are some companies, i.e. 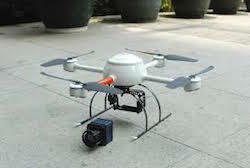 news outlets, that are eager to harness the power of the UAV. Think about the ability of a news station to cover an entire lengthy event from the air for the same price as it currently costs that news station to start its helicopter. As discussed, current FAA regulation prohibits that kind of commercial UAV activity without an application for that particular flight. So basically, it's not feasible. These companies may well have a first amendment right to aerial based photos and the current program for authorizing these photos may be insufficient in light of that right. In any event, the future will change with whatever regulations the FAA proposes. The newsworthy events will be (1) What happens in this purgatory rule land when an accident happens or news crew says it should be able to cover Ferguson from a UAV, (2) What the new proposed rules will be, and (3) What commenters and lobbyists are able to keep and/or change in the proposed rules as they become law.